I was really excited to hear that Bella Italia have started to do a Gluten Free menu. As you many know I’m wheat intolerant, it’s not quite the same as gluten free but pretty close, especially as I am very sensitive to wheat, so I’m often found trawling the internet for new gluten and wheat free recipes. However every once in a while it’s nice to have a day off cooking and eat out. That’s not always easy when you can’t eat wheat/gluten. Bella Italia were kind enough to offer for me to go and sample their menu for free, which was a real treat. We went as a family (myself, husband and my one year old) and I must say that it was a very baby friendly place to eat, although maybe not so great on the baby change facilities. Our little one was given colouring things, stickers and a balloon. She was most taken with my meal though! 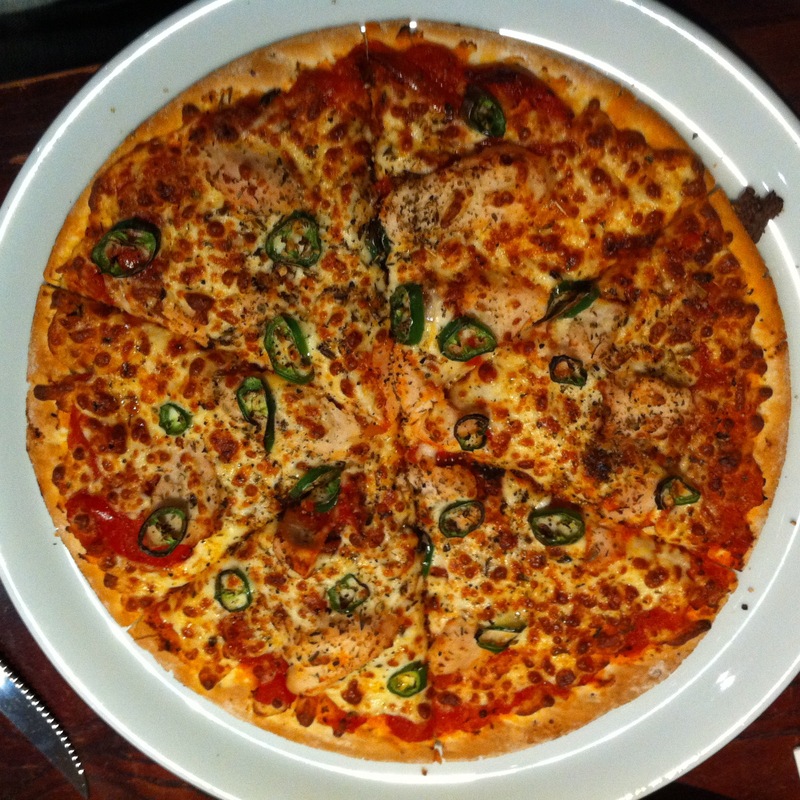 There is a completely separate gluten free menu which makes life very easy and there is a lot of choice which is amazing – 6 pasta’s, 7 pizza’s, 4 salads and more…wow. We ordered the “Ragu D’Agnello” (Lamb ragu with pasta) and the “Pollo Piccante” Pizza (chicken, peperonata, mozzarella and chillies) plus a side salad. The pasta was really good, perfectly cooked and you wouldn’t know it was gluten free. 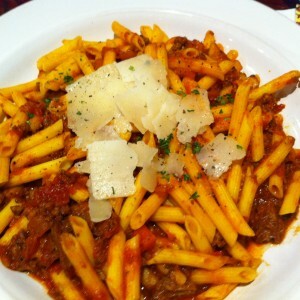 Some of the pasta’s I’ve tried at other restaurants have been pretty awful, this one gets a gold star. The pizza looked great but the base tasted pretty much like cardboard. It looked like a pre-bought one to me and was quite hard in places. However it was great to have it as a choice on the menu. I was pleasantly surprised to see some desserts included on the menu, we shared a piece of the “Torti Di Ciociolato” (chocolate cake) between the 3 of us, it went down very well with everyone. DIVINE. 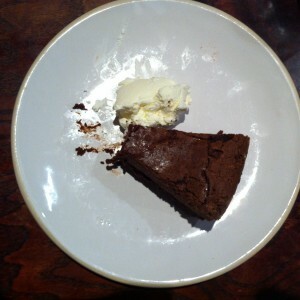 I’d certainly recommend Bella Italia for those of you who are gluten free and have been missing Italian, I know I had. The staff were helpful and the atmosphere relaxing, what more could you ask for? 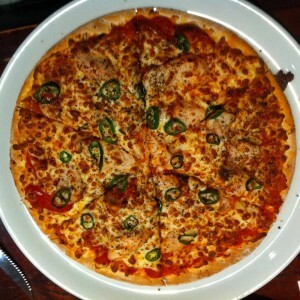 Thankyou Big Bella’s how about working on a home made gluten free pizza base next?! Disclaimer – all views are my own. Bella Italia did not pay me to write this post, I asked to review their menu and they gave me a free trial with no strings attached. 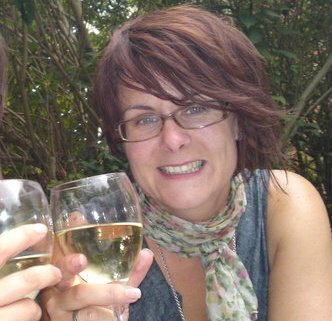 A Client’s story: Dee’s Vegan Lent. I’d like to introduce you all to Dee, she’s an inspiration. I’ve been helping her with her eating and she’s been lovely enough to share her journey with you all. Please take a moment to read it. “I’m a bit of a blogger on the quiet, so I was dead chuffed to be asked to write a guest post for DietitianUK. As a 33 year old, relatively fit and healthy, employed, mother of two, you would be forgiven for wondering why I wanted/needed the professional support of a dietitian. This process started as a bit of office banter. I am the Corporate and Community Fundraiser for Hampshire homelessness charity, the Society of St James. 2012 is the 40th anniversary year of the Society, and we thought that was worth marking in the fundraising department. We proposed that individuals might like to undertake sponsored challenges based around the number 40, which so happens to be the number of days in lent when you take out the Sundays. That’s where my challenge comes in. I always undertake some form of lent challenge with a view to a life change thereafter, so it tends to be something I have been wanting to address like my shopping habits. On this occasion though, it’s been somewhat more dramatic. My boss challenged me to go vegan for lent. 46 days of veganism is what My VeganLent is, raising money to support Hampshire’s homeless and most vulnerable people (through the work of SSJ) is why I am doing it. I have a history of depression, and I felt that a radical diet change could potentially affect both my physical and mental health so I made an appointment to see DietitianUK – Priya. We started the planning and preparation process in January, with a follow up consultation in early February and ongoing contact and support via email throughout. I am only one week and one day into being a vegan, and I can’t honestly say how easy/hard it is yet. I have started to really miss cheese, and cake (which makes it sound like I eat those things all the time – I don’t) but I feel that it’s going well at the moment. Embarking on this challenge with the support of a dietitian has meant that I am making informed choices over what I consume and how best to make up the potential deficits in my nutrition. What has surprised me more is the problems and dysfunctions I had/have with food. Rather than focusing on what I can or can’t eat for this period, we (that is me working with Priya) have started the process of addressing some of those dysfunctions. These are wheat and rye flatbreads and come in various flavours. At only 29kcals and 0.6g fat per slice they could make a perfect snack, I’m imaging them with some on my homemade hummous or some low fat soft cheese alongside some slices of cucumber and peppers. Yum. I’m guessing they could be a little too yummy and that portion control is going to be key here as eating the whole pack would mean you end up eating over 500kcals and 12g fat. I have 3 packs of these to giveaway, if you win I’d love your feedback. 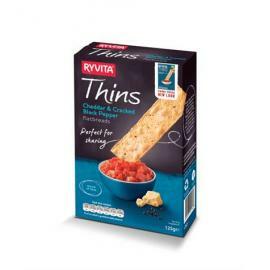 Like my Facebook page https://www.facebook.com/DietitianUK and comment on the Ryvita post. Do multiple entries by doing all 3! Winners will be drawn by random on Mon 27th Feb.
Disclaimer: I am not being paid for this blog, Ryvita kindly sent me some products to giveaway to my readers. I am not aiming to promote or endorse this product over any other, there are many other brands of crackers out there too. This giveaway only applies to UK mainland. 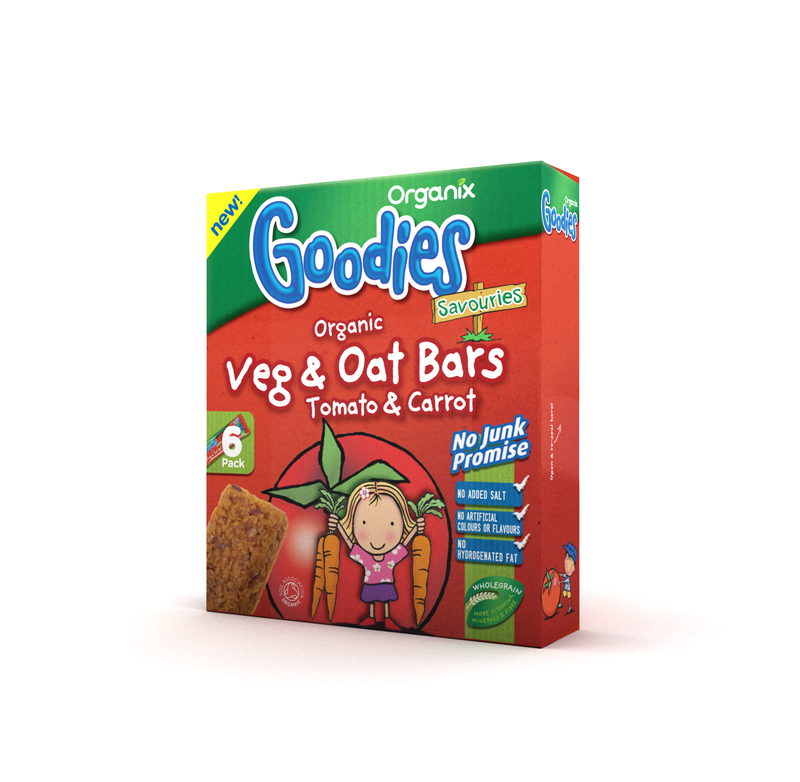 Today little Kezia excitedly helped me unpack the box, full of foam pieces she had a lot of fun 😉 Finally we found the veg and oat bars. Now I must admit I like the idea of a vegetable based bar, great concept. We opened one and you can certainly smell the tomato (think tomato soup), little Kezia went for it straight away and certainly enjoyed it. Her orange mouth was proof of that! I don’t think the box will last that long if she has any say in the matter. 2. Like my Facebook page and let me know by commenting below. 3. Follow me on Twitter and let me know by commenting below. That’s 3 chances….You’ve got until the 10th Feb.
Disclaimer: Goodies kindly sent me a box of these bars and I asked to do a giveaway for my fab readers. All opinions in this post are my own. This giveaway only applies to UK mainland.